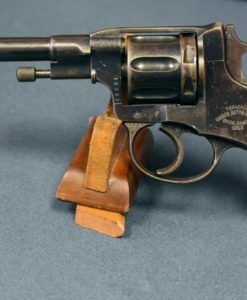 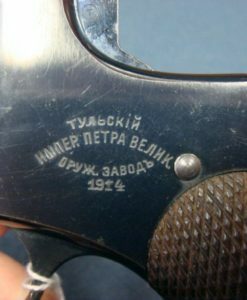 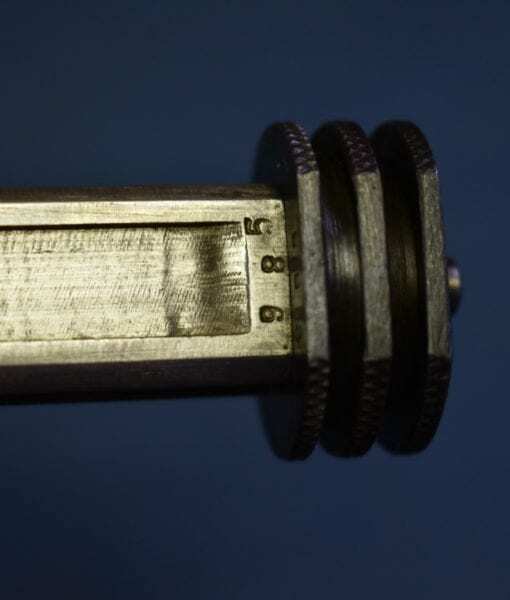 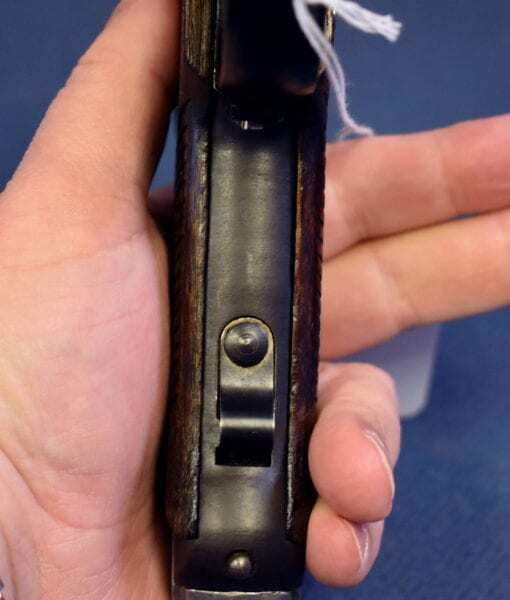 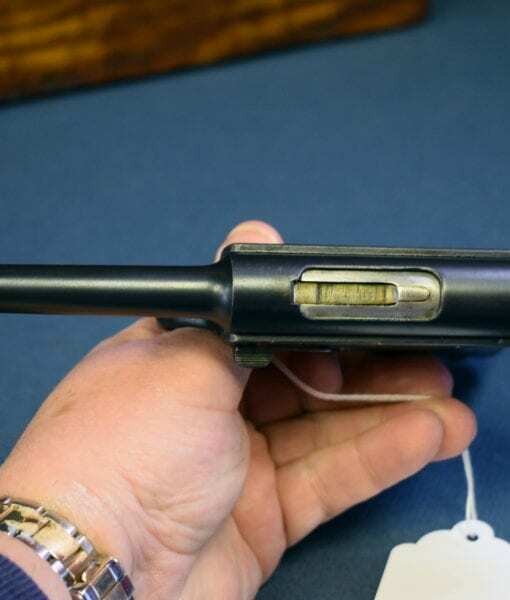 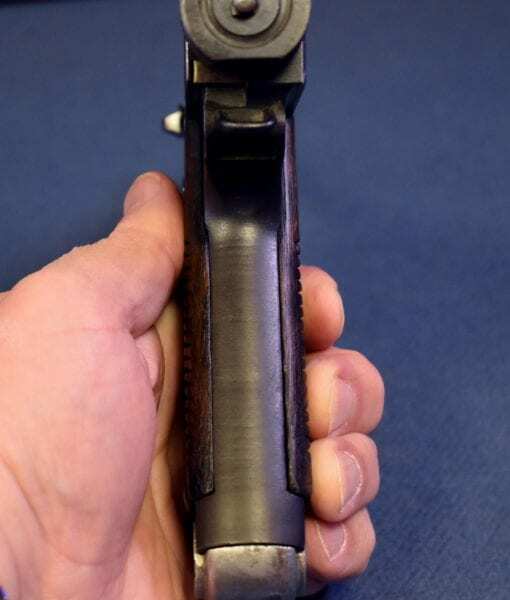 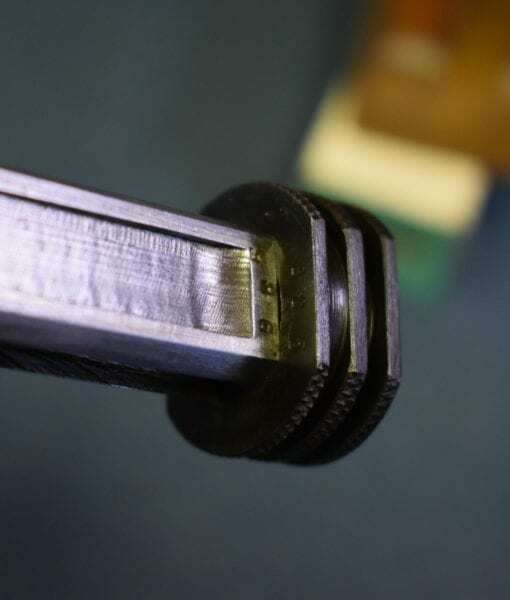 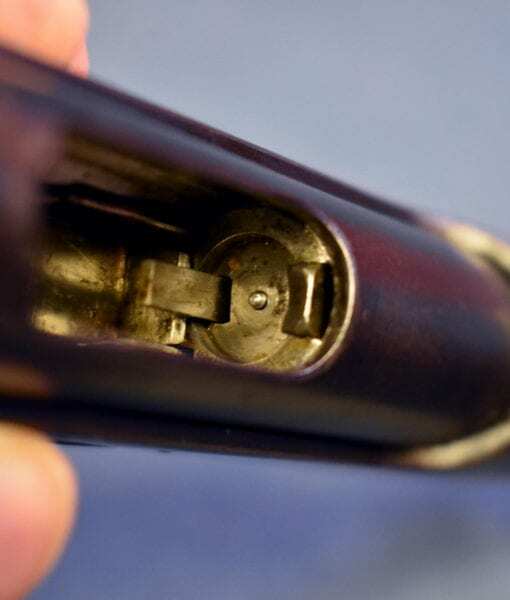 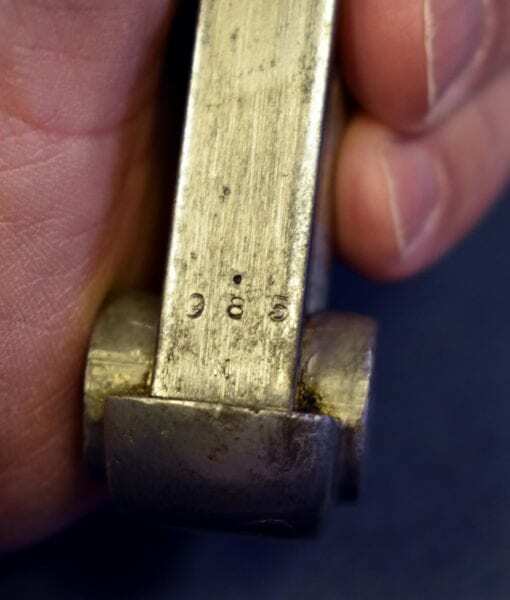 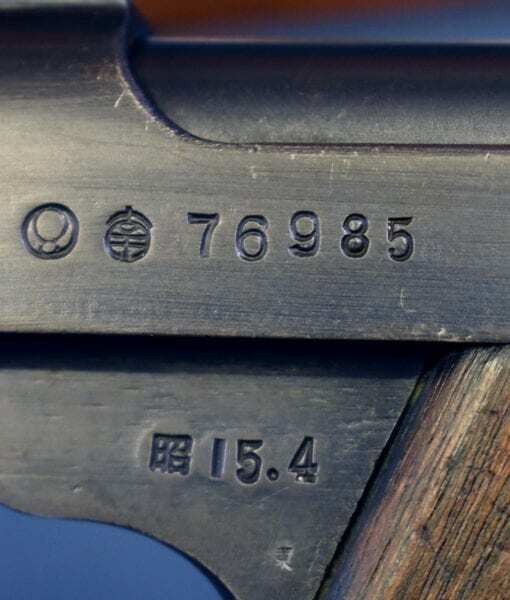 JAPANESE TYPE 14 NAMBU PISTOL….15.4 DATE (APRIL, 1940)….. WITH MATCHING MAG….VERY SHARP! 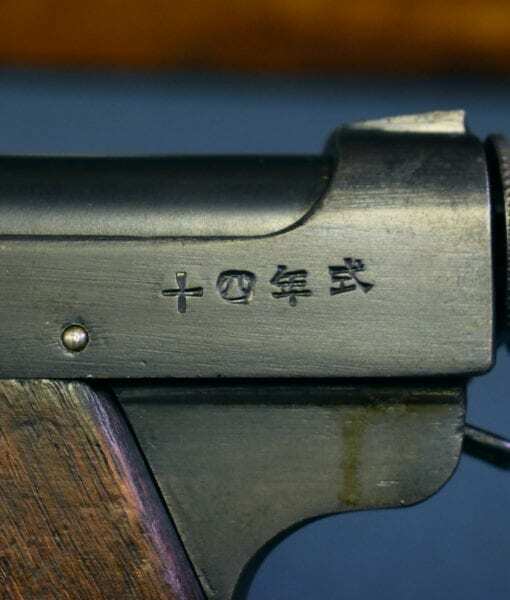 IN 97% VERY SHARP ORIGINAL CONDITION, WE HAVE A 14.5 DATE, APRIL, 1940 NAGOYA NAMBU ORIGINAL SERIES TYPE 14 NAMBU PISTOL. 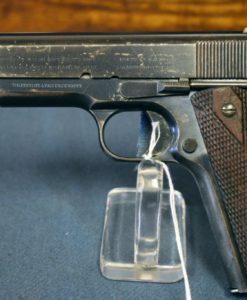 THE PISTOL IS ALL MATCHING INCLUDING THE MAGAZINE. 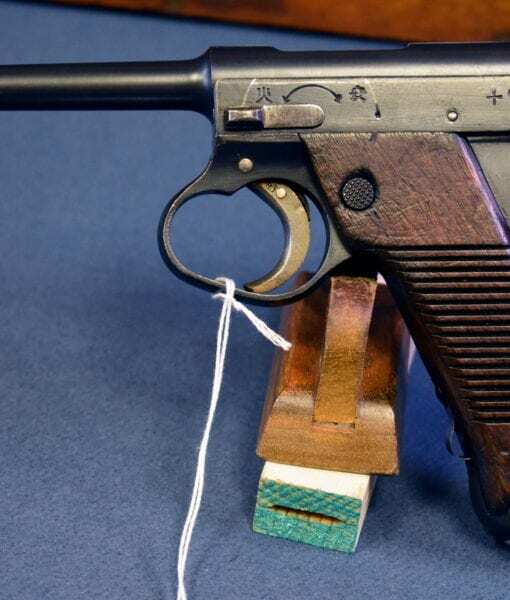 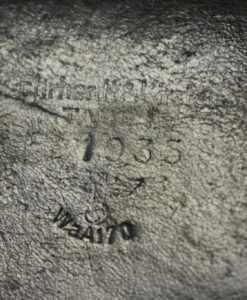 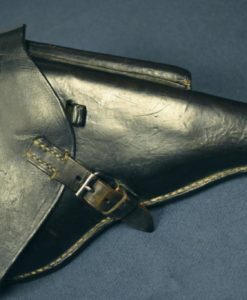 THIS IS A REALLY SHARP LOOKING PISTOL AND THEY ARE A LITTLE HARD TO FIND THIS NICE AND PRE-WW2 DATED. 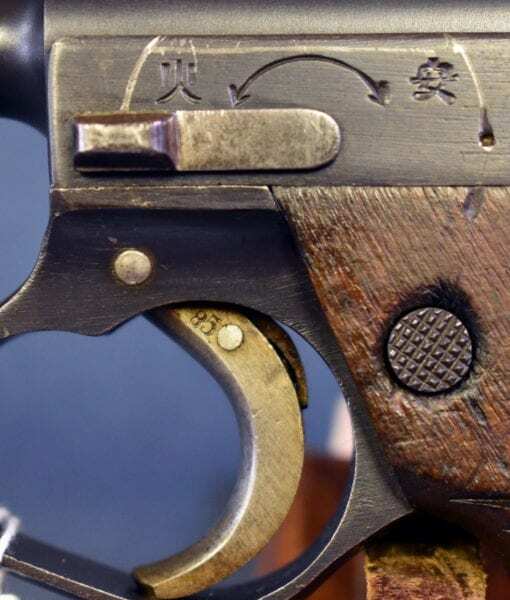 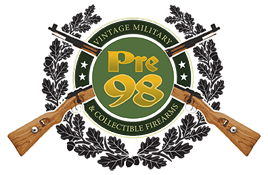 THIS IS A GREAT EXAMPLE FOR THE ADVANCED NAMBU COLLECTOR OR ANYBODY WHO JUST WANTS A SUPER NICE EXAMPLE FOR THEIR COLLECTION. 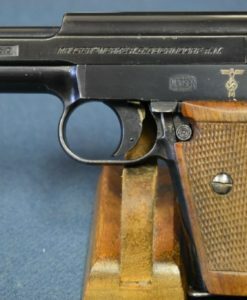 THESE EARLY TYPE 14’S HAVE ALWAYS BEEN A CHALLENGE TO FIND THIS NICE AND WITH A MATCHING MAGAZINE. 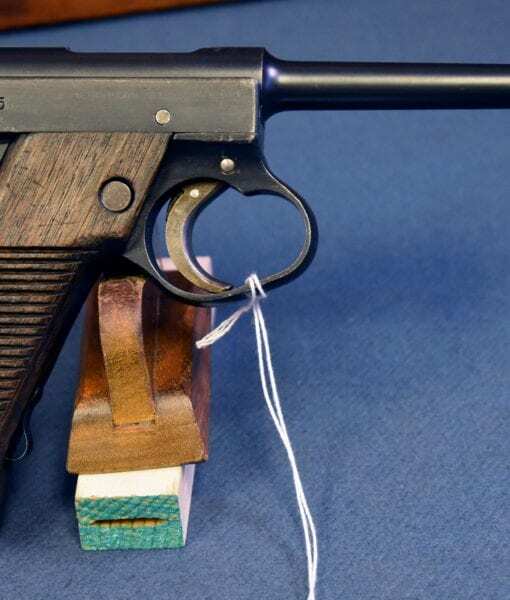 WE HIGHLY RECOMMEND THIS PISTOL.